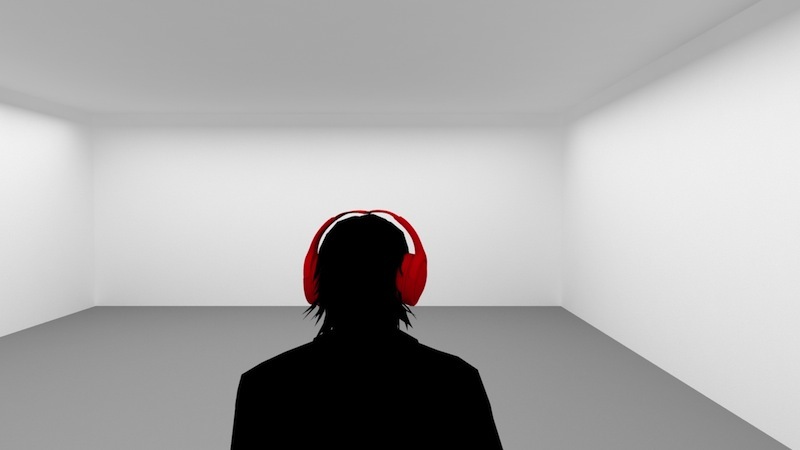 usomo is a new immersive audio system. Interior space and sound merge in an unprecedented way. 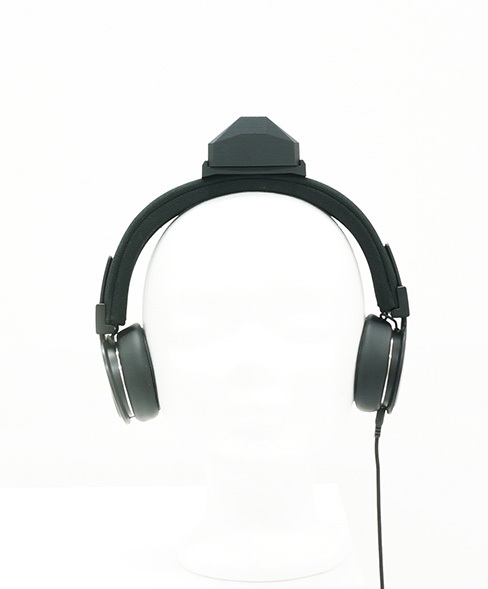 The system consists of headphones with the usomo tracking module, a smartphone as part of the system to play back the sound data, as well as transmitters in the space. Beyond this, no higher-level equipment such as a server or the like is required. Each individual system is autarkic. That is why there is no restriction to the number of users. The area that can be covered by the transmitters has no limitations either. Thus it is possible to equip spaces from small rooms to entire buildings with usomo. 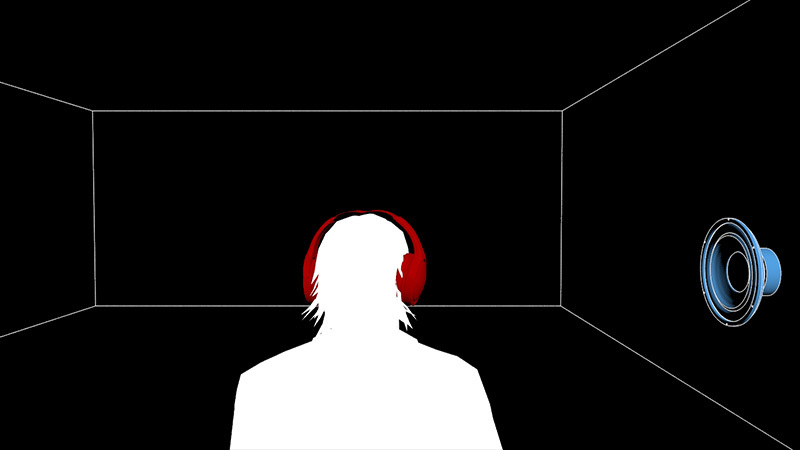 By the most precise ranging of the position and the rotation of the user, a fully individual sound course is created, calculated and sent to the headphones in real time. Just by walking around in the space or by turning the head, sounds are being triggered or stopped, the tonality, volume and angle of the sound sources change fluidly. 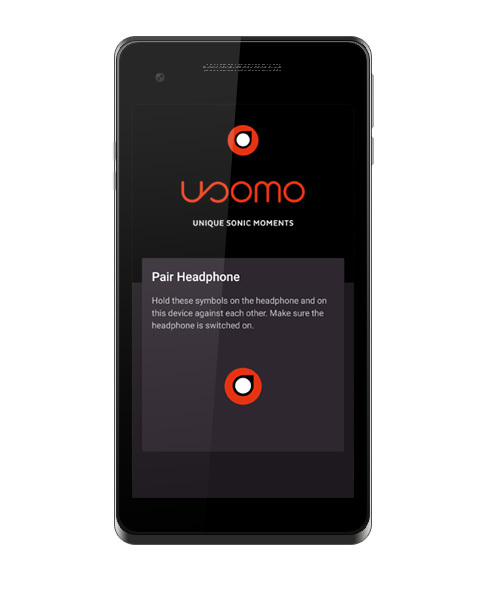 The exact ranging of the user happens through the usomo tracking module on the headphones. With a precision of 20 cm in position and 1° in rotation, it is extremely accurate. Besides the headphones with the tracking module, the user carries a smartphone provided by usomo with the audio data stored on it. 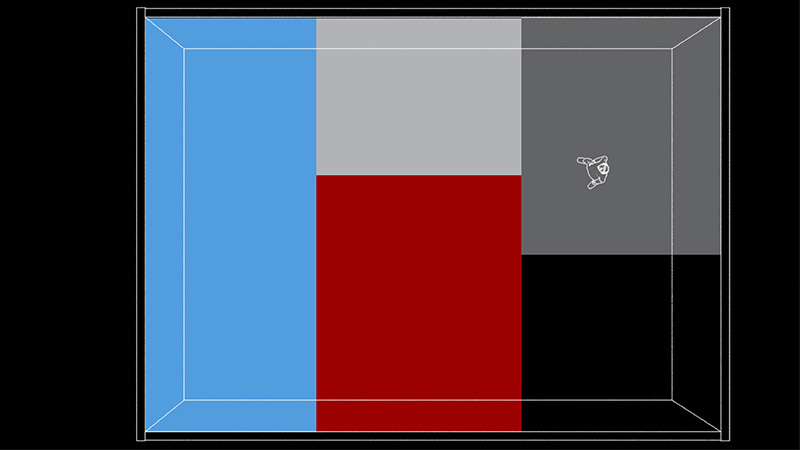 A software in the smartphone is the basis of the sound experience. It generates the sound to be heard on the headphones in real time, depending on the position and rotation data that is being determined by the tracking module, or in other words, the distance and the orientation of the user in relation to the virtual sound sources. It is possible to use open as well as closed headphones. usomo is made for spaces without real sound sources. 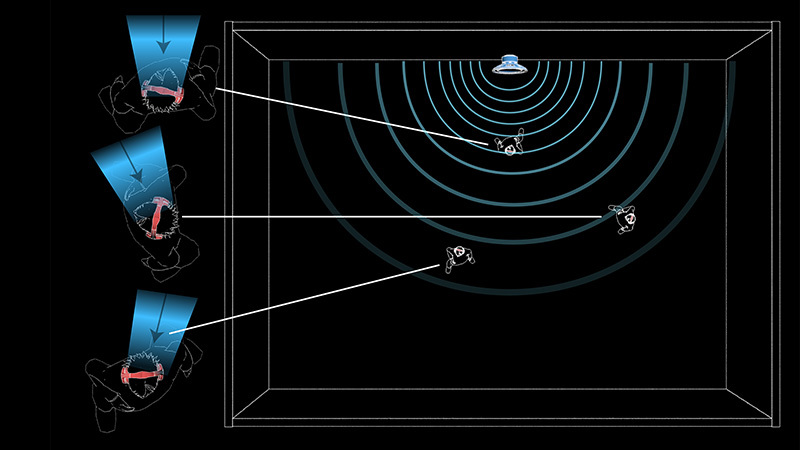 With usomo, virtual sound sources can be positioned spatially precise. At pos. 1, the sound is heard coming from the front. At pos. 2, after having turned, the sound is heard lowly coming from the right. At pos. 3, after another turn, it’s heard even lower from the back. At the movement of the user, the system calculates in real time the sound that is to be heard, depending on position and orientation in relation to the individual sound sources. In addition to the sounds spots, any number of wider soundscapes can be created in predefined areas in the space for the user to pass through individually. The arrangement of the sound sources is spatial so that the soundscapes can be explored.